Stadio Artemio Franchi officially opened on 13 September 1931 with a match between Fiorentina and Admira Wien (1-0), though it took until 1932 for the stadium to be completely finished. The stadium was initially called Stadio Giovanni Berta, and already very much resembled the stadium of today. It had a capacity of about 45,000 places. In 1934, Stadio Berta was one of the playing venues of the 1934 World Cup, during which it hosted one first round match and the quarter-final between Italy and Spain (and replay of said match). After the Second World War, the stadium got renamed Stadio Comunale, which it would keep until 1993. The addition of multiple metal stands brought capacity to about 70,000 places in the 1950s, though may fans got hurt when one such stand collapsed in 1957. 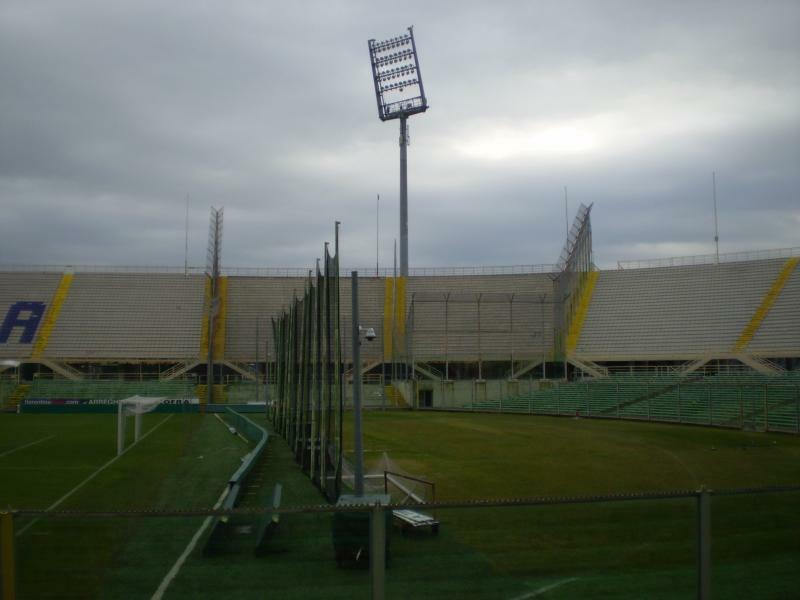 Stadio Comunale hosted one of the two semi-finals during the 1968 European Championships. Just over 20,000 spectators saw Yugoslavia beat England 1-0. The stadium changed little in the next decades until it got selected as a playing venue for the 1990 World Cup, and a major refurbishment was required. During the 1990 World Cup, Stadio Comunale hosted three group matches and the quarter-final between Argentina and Yugoslavia (0-0). 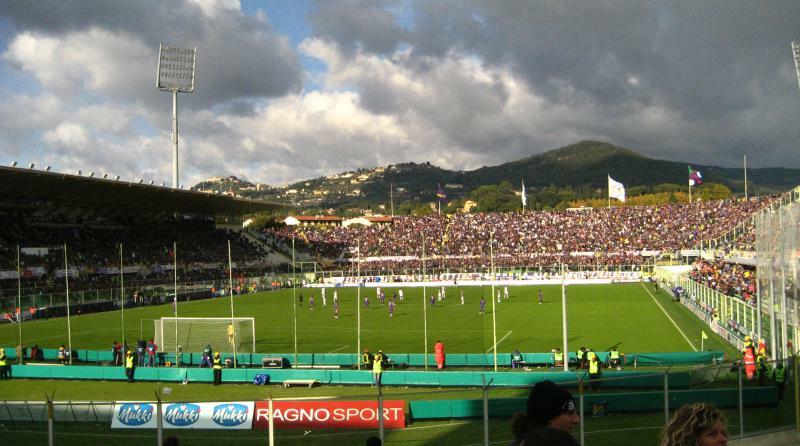 Over the years, the state of Stadio Artemio Franchi has significantly deteriorated, and Fiorentina have therefore looked to build a new stadium. First plans were presented in 2008, and after multiple delays and changes, concrete plans were presented in March 2017 for the construction of a new stadium. The club hope to complete this new stadium, which will have a capacity of 40,000 seats, in 2021, but the green light has yet to be given. 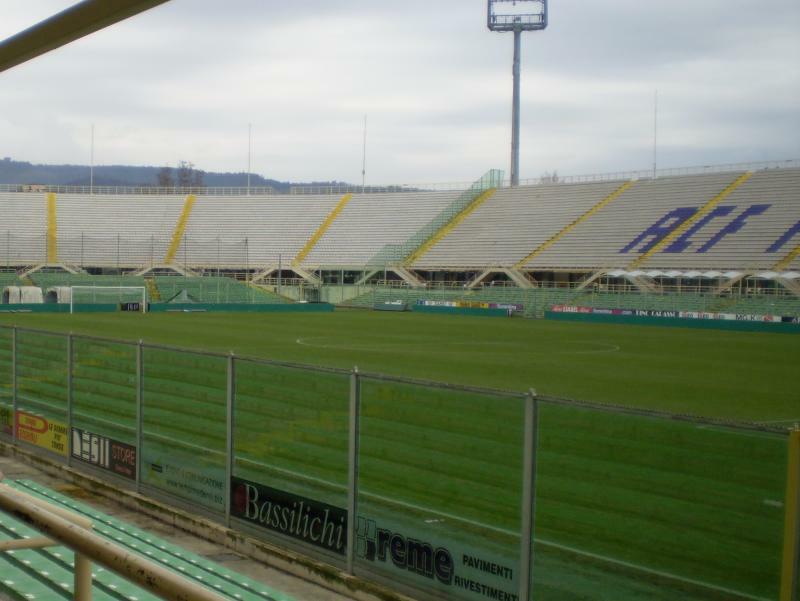 Stadio Artemio Franchi is located towards the north-east of Florence at about 2 kilometres from the historic city centre. The walk from the Duomo in the historic centre takes about half an hour. The stadium lies only two blocks from train station Campo di Marte, which is almost solely served by regional trains. A change at Florence’s main Santa Maria Novella station will likely be necessary. Alternatively, one can take bus 17 from Santa Maria Novella or Piazza San Marco (which lies three blocks north of the Duomo). If arriving by car from the Milan-Napels motorway, take exit Firenze Sud, follow the Varlungo Marco Polo viaduct toward the city, cross the bridge, and follow the signs (Stadio) to Stadio Artemio Franchi. 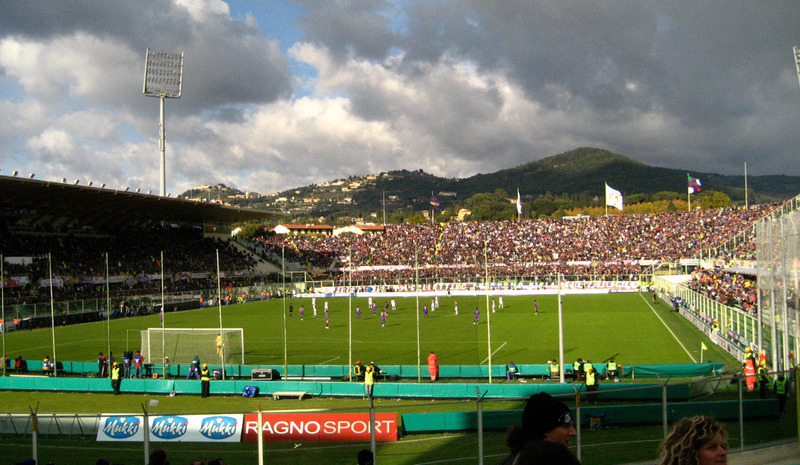 Stadio Artemio Franchi is located in a generally quiet residential area. It will not be hard to find a café or a place to get something to eat, but Florence’s city centre is obviously much more pleasant to pass some time. There are a few hotels directly near the stadium. MSNSUITES Palazzo Lombardo and Casa Schlatter both get good reviews, while Hostel 7 Santi is a cheaper alternative. Click here to see all hotels near Stadio Artemio Franchi. Alternatively, one could opt to pick a hotel in between the stadium and Florence’s city centre. Hotel Della Robbia, Hotel Villa Liana, and Hotel Regency are some of the options. Click here for an overview of hotels in Florence’s city centre. Tickets for Fiorentina games can be bought online via Ticketone, by phone +39 055 571259, at the Fiorentina Point at the stadium, at the ticket office at the Via Dupré 28r (two blocks from the stadium), or at one of the other sales points. Of these sales points, the Chiosco degli Sportivi at the Via degli Anselmi in Florence’s historic centre is the most centrally located. Ticket prices typically start at €20.00 for a seat at one of the curves, and range between €30.00 and €70.00 for a seat at one of the long sides. Tickets are much cheaper if bought in advance, but prices may get increased for a few high-profile matches. You can find a seating map here. For more information email tickets@acffiorentina.it. Violachannel.tv – Official website of ACF Fiorentina. Firenzeturismo.it – Official website of the Florence tourist board. Ataf.net – Public transport information and timetables. Trenitalia.com – Train times and fares.